Servers sold for home use is not something that would readily appeal to individual PC users and any company hoping to do such must have extra incentives bundled into the operating system that would make home users want to buy. 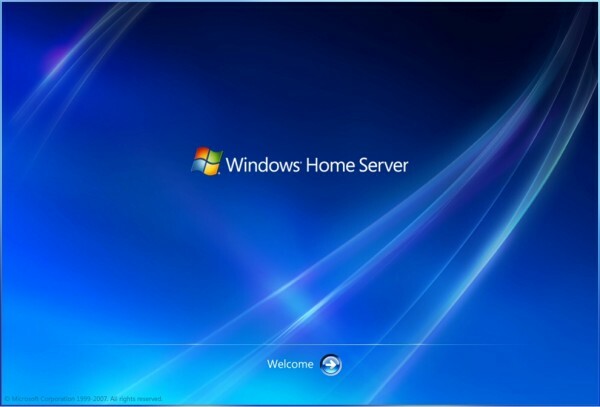 While the extra financial costs to purchase a server OS and the technical savvy to set it up and get it fully functional would normally be a huge put off to most consumers, the initial Windows Home Server edition from Microsoft did have one or two features that made it worth a try for some home users. In addition to having backup and media functionalities, it also came with fairly priced hardware from HP. The server edition for home users did however have some bugs in it. One of such bugs corrupted files which users stored on the server and it took months for Microsoft to come out with a fix for it. Curiously, Microsoft in developing a new release of the Home Server operating system has decided to abandon the Drive Extender, one of the main features which had made the server OS attractive to users in the first instance. The new version which is presently out as a beta release has the code name of Vail and is devoid of the Drive Extender feature. While the feature will remain for the previous edition of the Home Server, Microsoft has indicated that the Drive Extender feature will also be expunged from the Windows Storage Server 2008 R2 and the Small Business Server 2011 Essentials. Microsoft’s decision to remove the Drive Extender feature from the new Home Server edition is seen as a risky venture which may affect home user’s acceptability of Vail. The Drive Extender gave users the capability to combine all internal and external storage drives attached to the server into one main storage source. With this, it was much easier and faster to create file backups or to share large multimedia files. This feature was however not without its hiccups as making backups were sometimes fraught with issues and when there was a failure in the backup procedures, users irrevocably lost their files as the operating system did not have recovery features which are found other operating systems like Windows 7. According to Microsoft, the feature was not needed again and users who require a large storage medium could get this by buying larger hard drives of 1 Tetra byte or more since they were not relatively inexpensive to buy. Users who found the Drive Extender feature useful have however indicated displeasure with Microsoft’s decision to totally abandon the feature instead of finding a working fix for it. Many of them wonder why Microsoft would decide to abandon the major selling point for the Home Server and some have expressed their decision not to even try out the Vail since it is going to be devoid of the Driver Extender feature.